Decorations, sights, sounds, and more can stir in each of us memories of happenings, relationships, and experiences from our past. Some of those can bring a warmth and comfort as we look back. Some can prick us with a bittersweet taste or a darkened glimpse of things we’ve left behind. No matter what is associated with our memories, they’re still in the past. As our days unfold ahead of us, we have the opportunity to journey down new paths, create new memories, and foster new connections with those around us. Both learning from our past and leaving it behind us move us toward the possibilities of our future. One of the wonderfully comforting notions is that we never travel that journey alone. “Jesus Christ is the same yesterday and today and forever” (Hebrews 13:8 NIV). Our routes, sights, and activities may change, but our Creator remains the faithful constant upon whom we can rely. 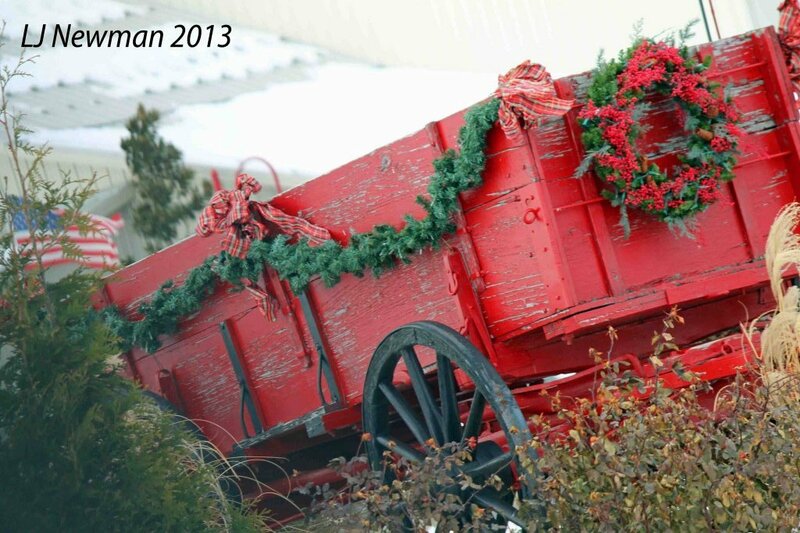 Greeting Card Design: CMAS-Wagon – click here to view in the Kat Kreations online katalog (also THINK-Wagon). NOTE: The watermark only appears in the online version of the image in order to aid in protecting copyright. The greeting card version will include the LJ Newman watermark in a different location. Changes in life may not always neatly follow a calendar of days, weeks, or months. Some periods may last longer or shorter than others. Some can seem to go on for a short forever. The latter could be considered “seasons.” When a new season in life begins, the emotions, reactions, and thoughts can be as varied as the colors on the cover of this card. Thankfully, our Heavenly Father has assured us that He is the one constant we can count on, no matter how our circumstances shift or are altered. He is more than able to remain everpresent with us, going before, behind, and within us when we belong to Him. Greeting Card Design: THANK-Kyah – click here to view in the Kat Kreations online katalog (also as THINK-Kyah and CMAS-Kyah). NOTE: The watermark only appears in the online version of the image in order to aid in protecting copyright. Greeting cards and art prints do not have the watermark. The art for the cover image was created by my cousin, Kyah, using chalk pastels. Wide-eyed, curious, inquisitive … a small child catches your gaze in a public place. What could be going through his or her mind? What comes to your thoughts? If that child were actually you, gazing into the eyes of your Heavenly Father, what might be on your mind? Could you trust Him for all your needs like a small child is dependent upon his or her parents? That’s really how it is, you know. When we accept the gift of salvation that the Lord offered through Jesus’ death on the cross and we choose to follow Him, we become a child of the Lord God Almighty. He showers His love upon us! He delights in our lives! He longs for us to love Him too . . . and to choose to depend upon Him for all things – just as a child. Greeting Card Design: BABY-NewKid – click here to view in the Kat Kreations online katalog. NOTE: The watermark only appears in the online version of the image in order to aid in protecting copyright. Greeting cards and art prints do not have the watermark. The photo used on the cover was provided by Ali Kibler. Ever seen a sight so out-of-the-ordinary that you can hardly believe you’ve witnessed it? Your jaw may have hung open. Your eyes may have stayed wide open as you examined what you were seeing. One Man walked this earth and lived His life in one of those jaw-dropping, eye-popping ways. What was so different? He lived completely for the benefit of others. Even His death was intentionally for the good of others — not just those who liked Him. He lived and died for ALL others … including you and me, though we’ve never met Him in this life. Jesus set aside all the glory of heaven as the Son of God to come to earth, walk as a human and be put to death on a cross. He did it ALL for others … including you and me! Greeting Card Design: BDAY-BabyNDog – click here to view in the Kat Kreations online katalog. NOTE: The watermark only appears in the online version of the image in order to aid in protecting copyright. Greeting cards and art prints do not have the watermark. The photo used on the cover was provided by F. Winkler. Once upon a time you and I had that look of wonder in our eyes. Even the smallest thing could grasp our attention and fascinate our senses. For a brief period of time, we’d be intent on investigating the newest fascination. Have you ever been fascinated by our Heavenly Father? Has His activity around you ever caught your attentive gaze and moved you to ponder what He’s working out? All the time, the Lord is at work, bringing about His sovereign purposes for His creation. When your eyes meet His, and He knows that your heart is seeking, He extends His hand toward you, inviting you to join Him in His activity. He is overjoyed at the thought of sharing it all with you. May you find yourself drawn to the wonder of our Heavenly Father’s majesty, grace, and presence, as He unfolds before you all that He has in store for you in His kingdom. Greeting Card Design: BDAY-BabyCake – click here to view in the Kat Kreations online katalog. NOTE: The watermark only appears in the online version of the image in order to aid in protecting copyright. Greeting cards and art prints do not have the watermark. Two distinct elements exist within that name, which combine to form this unique breed of flower that grows in the King’s garden. Aluminum is a common metal with high reflectivity and good electrical and thermal conducting abilities; it resists rusting and can be recycled. The name “dandelion” comes from a word meaning “lion’s tooth.” “Lion” could be descriptive of a courageous or ferocious being or of a person of outstanding interest or importance. The dandelion is a hardy, yellow-flowered, composite plant (made of distinct parts) and is found in MANY grassy areas. Drawing from the properties of these two elements, the King has fashioned and nurtured His Aluminum Dandelions. These flowers reflect the warmth of His light to the world around them. They are made of distinct parts, gently designed by the King’s hands into beings of outstanding importance in His garden. Their roots grow deeply into the King’s soil to drink the nectar of His Word. This nectar makes them hardy and able to resist decay, so that they may grow and produce fruit. Repeatedly, the Aluminum Dandelions serve as the King’s conductors. As He transforms their yellow flowers into white, feather-light parachutes, He carefully blows them from one part of the garden to another. Each of these chutes from each of the flowers carries a single seed. 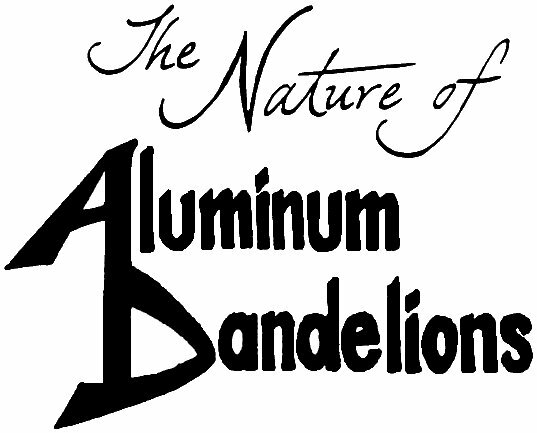 This is the King’s way of creating more of His special Aluminum Dandelions, and thereby causing His garden to become increasingly more beautiful as the seasons pass. 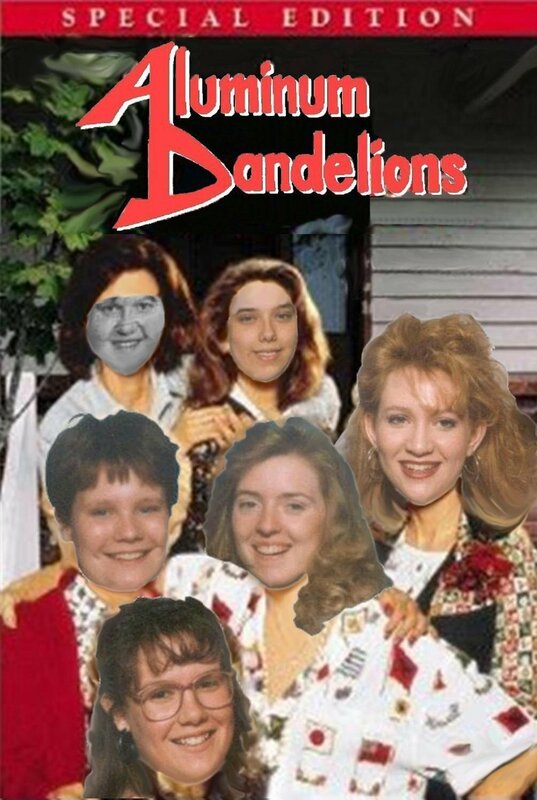 This card is dedicated to Kelli (Truvy), Holli (Clarie), Becky (Annelle), Brenda (MaLynn), & Chris (Shelby), THE Aluminum Dandelions. Greeting Card Design: THINK-AlumDandy – click here to view in the Kat Kreations online katalog. NOTE: The watermark only appears in the online version of the image in order to aid in protecting copyright. Greeting cards and art prints do not have the watermark. This photo was taken when Kat was in high school in the woods north of her teenage home where she often played, sledded, fished, and more. Appearing on the front are the few blooms of a Coreopsis Threadleaf (or Golden Showers) that was transplanted from a friend’s garden in a year with the challenges of clay soil, very playful kittens, a drought period, along with being moved from another garden! It was exciting to see this flower begin to show blooms. Whew! It has survived! “Survive,” as per Webster’s dictionary is “to continue to exist or live after…” The reader gets to finish the sentence. Each time we face challenges that threaten any aspect of our health (physical, mental, emotional, social, spiritual, financial, etc) and we come through, we’re survivors. Our choices and the power of our Father God enables us to make it through. Jeremiah exclaimed, “Ah, Sovereign Lord, You have made the heavens and the earth by Your great power and outstretched arm. Nothing is too hard for You” (Jeremiah 32:17 NIV). We have a God who is more than able to handle anything that comes our way. What have you survived for which you can give Him glory and thanks? Greeting Card Design: XPRS-Survivor – click here to view in the Kat Kreations online katalog. NOTE: The watermark only appears in the online version of the image in order to aid in protecting copyright. Greeting cards and art prints do not have the watermark. This photo was taken by Kat when she lived on a hilltop in Southwest Indiana and had several flower beds around The Shack’s yard.